When you get up on a weekday morning, jump in the shower, wash, brush your hair and teeth, get dressed in your good (and ironed) clothes, apply makeup, etc, before heading to work, all these steps are taken with the idea in mind of presenting a professional appearance for yourself in your workplace. With so much constant effort investing in highlighting a professional front, it is perhaps surprising how often poor quality portraits are put forward to represent the public faces of many organisations. When presenting yourself and your business in the marketplace, through websites, social media, or printed materials, your portrait image will often be the first thing that a potential client will see. This image is the first opportunity to catch someones eye, and to help them develop a good first impression about you and the business you work for. The popularity of the “selfie” has sky-rocked in recent times. At the same time, so have the number of negative comments surrounding them. Whilst a good selfie (or even better, a more considered self-portrait) can be used for effect in telling a story about your business, they should be used sparingly, and only in that context. To do more can risk the idea that you are more focused on yourself than your customers as suggested by “Beware the Selfie”. On the positive side for a selfie is the Legitimate Business Case for their use, though this case is not for using them as a portrait. We have compiled a few tips for when you are considering what to do for your business portrait images. Clothing should be professional, however consider whether you want a formal, or more relaxed approach. Select an appropriate background (be aware of your businesses colours). Consider whether you are after a simple headshot, or a more creative portrait. Both are useful in differing circumstances. 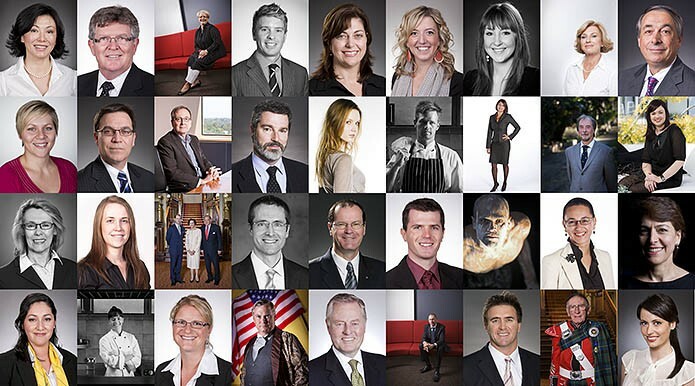 If photographing multiple people across an organisation or team, maintain consistency in the portrait style or theme. Hire a professional photographer (ideally me, but any other good one will do). Please feel free to comment, ask questions, or Contact Us if we can be of help for your business.